By margreet riphagen, November 24, 2010 at 4:02 pm . INC Print on Demand Service ‘Theory on Demand’ Issue no. 5 out now! Spatial Aesthetics examines the most recent shifts in contemporary art practice. By working with artists and closely observing the way in which they relate to urban space and engage other people, locally and globally, Nikos Papastergiadis provides a critical account of the transformation of art and public culture. He shows art has sought to democratise the big issues of our time and utilize new information technologies. 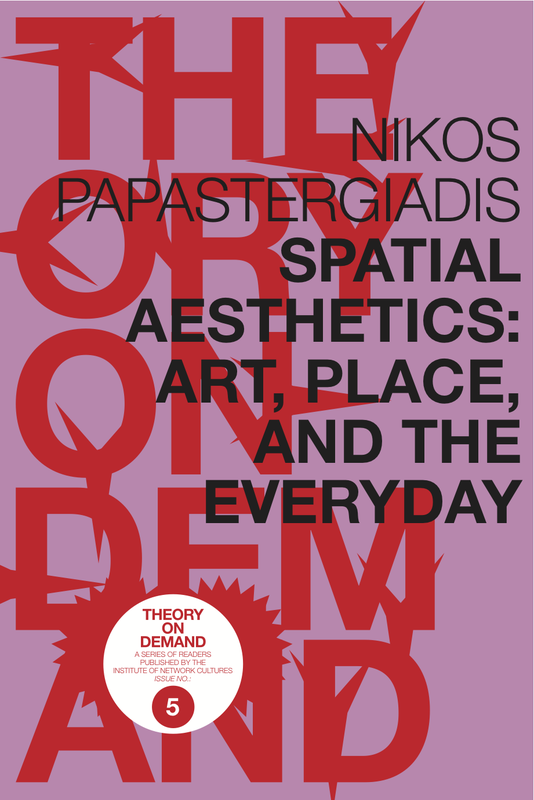 While the concept of the everyday highlights the potential for transformation at the level of the individual, at the same time it has to be seen as a critique of broader structures; in this book Papastergiadis stresses the importance of situating a work within art history as well as relating it to its social context. Spatial Aesthetics will help artists, curators and cultural workers think about the ways they intervene in public life. Challenging recent declarations in the art world that theory is obsolete, it seeks to show how art uses ideas, and how everyone can be involved in the ideas of politics and art.